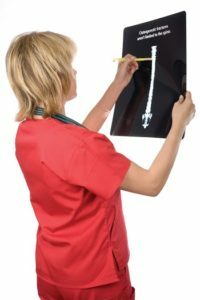 Why Should You Care About Your Spine Health? Home/Orthopedics, Spine Health/Why Should You Care About Your Spine Health? Your spine is, quite literally, the backbone of your ability to move, sleep and function properly. Why should you care about your spine health? Simply put, most every movement originates from your spine, so taking care of your cervical (upper) and lumbar (lower) spine should be of utmost importance for athletes, weekend warriors and everyone in between. Without a healthy spine, everyday tasks and movements such as sitting up straight, bending over, picking up objects, walking, twisting and moving your neck can become extremely difficult or painful. When the spine is injured you can expect to have limited mobility; and the inability to move normally, without pain, can be a blow to your quality of life, so it’s important to care about your spine health and to understand its role in your overall well-being. The nervous system uses the spine to transmit electrical impulses resulting in feelings of sensation. Sensory information like pressure, touch, cold, warmth, pain and sensations in the skin, muscles, joints and internal organs all originate in the spine. A damaged spinal cord can interrupt neural responses, disabling sensations in certain parts of the body. Watch your technique when lifting. If you don’t have the proper form when picking up heavy objects, you may twist the wrong way and damage your spine. To lift correctly, stand as close to the object as you can and use your legs and knees as opposed to your back and upper body to lift the item. If the item is too heavy for you, get help and don’t attempt to lift yourself. Get a good night’s rest. Your body repairs itself while you sleep. It’s important to get enough sleep to allow for complete healing. Also, try sleeping on your side instead of on your stomach – as sleeping on your stomach puts extra pressure on your spine. A supportive mattress and pillows promoting proper alignment of the spine and neck are also good investments. Stay active and stretch regularly. Maintaining an active lifestyle can help lower your risk for experiencing low back pain. Optimal exercise routines involve a combination of aerobic activity, core strengthening and stretching. Stretching to stay flexible also helps to promote good joint function and range of motion, which helps to promote spine health and reduce your overall risk for injury. Treat yourself to a massage. If you’re nursing a back injury, a good massage can help encourage blood flow to the affected area. This may bring healing nutrients to help speed up the recovery process. Ask your physical therapist about the use of manual therapy in recovery techniques. Maintain a healthy weight. Carrying around excess weight can strain the lower back due to added stress on the muscles, ligaments and tendons in the spinal area. Diet and exercise are the main ways to maintain a healthy weight. Stay hydrated. Staying hydrated helps to maintain soft tissue elasticity and fluidity in the joints, which is important for spinal discs to keep their height. When spinal discs shrink due to dehydration, you can become more likely to suffer from a painful disc condition such as a herniation or bulging discs. Water contributes to overall structural health. Despite your best intentions, preventive measures may not be enough to evade back pain. Visiting a physical therapist or orthopaedic surgeon can help determine whether or not the pain felt in the neck or back is an acute episode or a chronic issue in need of further intervention and treatment. Knowing the difference between the two types of pain will help to determine the best course of treatment. Acute pain is typically described as pain persisting for three to six months, or pain directly related to tissue damage. Injuries leading to acute back pain include things like a muscle tear or ligament strain. Chronic pain, on the other hand, is described as pain that lasts longer than three to six months or beyond tissue repair. It tends to be less directly related to identifiable tissue damage or structural issues. Examples of chronic back pain sources can include failed back surgery and fibromyalgia. A licensed physical therapist can help diagnose and manage your movement dysfunction while helping to improve functional status, promote overall fitness and reduce the risk of reinjury or progression of impairment due to spine pain. If back pain restricts you from being able to perform your daily activities, an orthopaedic spine specialist may recommend a spine fusion or other surgical intervention. While it may seem counterintuitive, it is important to stay as active as possible prior to the surgery. In fact, this “pre-op” physical therapy can help to prepare your body for the procedure by enhancing your level of conditioning while educating you about the importance of corrective movement – which ultimately may help to improve your outcome and decrease recovery time. Physical therapists can also provide information about how to avoid re-injury after the surgery as part of post-op therapy. They may recommend low-impact exercises as part of rehabilitation such as walking, water therapy and stationary biking. Additionally, a physical therapy-based rehabilitation program that includes flexion/extension exercises, core conditioning exercises or dynamic stabilization exercises can help reduce pain and increase back strength. If you feel your spine health is suffering, don’t delay in seeking medical help if symptoms continue to persist or worsen over time.